9/18/2018 Updated ver3.1.20 on Google Play. Changed specs. and added new specs. We had set “Allow Sleep Mode While Taking Sleep Log” as a default. On the latest version, the screen does not force to black out by tapping the “BEDTIME” button, but you can put the phone in sleep mode automatically or by hand. Let us introduce the important points of this latest version. The back light will be completely turned OFF when you put your smartphone device in sleep mode while recording your sleep. This will help you to save the battery. We guess that the battery power consumption would be almost the same as that your device is put in sleep mode, even when the JUKUSUI app is running in the background. So even if the battery is draining, the device will not be hot. If your battery is relatively new, you can use it enough without a charger. When you check the box of “Allow Sleep Mode While Taking Sleep Log”, you can use any apps after tapping the “BEDTIME” button. However, we recommend you do not use the apps after tapping the “BEDTIME” button because, depends on the OS, the JUKUSUI app would be forced stopping by the memory-hogging. One of the reasons why you cannot record your sleep after updating is that, unfortunately, your device is the model, which the sensor of your device will not work after putting in sleep mode. In this case, please uncheck the box of “Allow Sleep Mode While Taking Sleep Log” and use the JUKUSUI app. You can set this on the “Common Settings” from the HOME MENU. 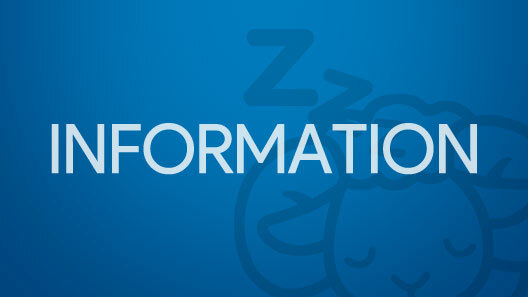 By signing up Cloud Service, when you change your settings or save your sleep records, these changes and data are automatically updated to the cloud server. While syncing, the notification will be shown on your device. We added the function, which hide this sync notification. You can set this on the “Common Settings” from the HOME MENU. 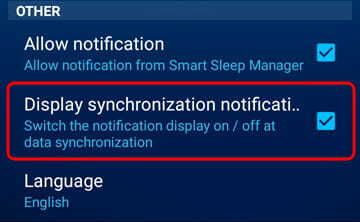 When you feel annoy this notification, just try to uncheck of the box of “Display Synchronization notifications” on the “Common Settings”. What happens if the notification is hidden? Why we show the notification while syncing, anyway? This is because we need to continue to execute the sync in the background after you closed your app. On the program, the notification is the essential element to run the app in the background. In other words, hidden the notifications would increase the possibility of that the sync will be never completed when you close the app. When you open the app, the sync will be completed. However, please note that you cannot know whether or not the sync is executed when you uncheck the box of “Display Synchronization notifications”. The “jukusui.com” website has been redesigned. “jukusui.com” corresponds to the Time Zones of the world. 4F, Yushima Ota Building, 2-29-3 Yushima, Bunkyo-ku, Tokyo, Japan.